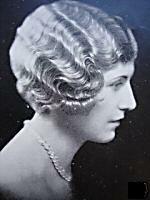 Popular hairstyles of the 1920s departed from the norm and gave women new freedom with their hair. 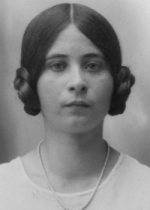 This was a popular hairstyle for young women (usually high school girls) to wear in the very early part of the 1920s. This style was also known as “cootie garages,” probably because of their ability to hide lice and other “stuff” in the large bun of hair at the side a woman's head. Of course “earphones” were the style of hair Princess Leia famously and beautifully wore in the Star Wars series. Introduced by dancer Irene Castle somewhere around the beginning of World War I. The short bob haircut could be worn with bangs or with the hair brushed to the side. 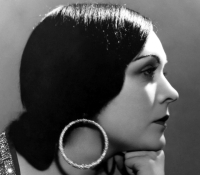 The bob hairstyle has remained in fashion since the 1920s. One of the most famously worn hairstyles of the 1920s by Louise Brooks and Zelda Fitzgerald, this style has remained in vogue with movie stars ever since. Cameron Diaz and Natalie Portman have both worn this style beautifully. Is basically a bob haircut that tapers down to the nape of the neck. The hair on the neck is razor cut very short into a V shape, often with spit curls at the sides. This style was also often called the boyish bob and was introduced in 1923. Katie Holmes wears this style beautifully. Of all the bobbed hairstyles popular in the 1920s, the Eton Crop is the shortest and most severe. It basically extended the razor shortness of the Shingle all the way around a woman's head. This style was actually patterned after mandatory boy's hairstyles at London's prestigious Eton Preparatory School. 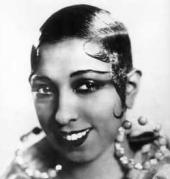 Josephine Baker wore this style beautifully. For those women who chose to keep their hair long and pull it back at night when they went out. This process created glossy waves over the head that ended in a chignon or bun, at the nape of a woman's neck. Bobby pins were used to create waves and to keep the hair in place. Developed by French hairstylist Marcel Grateau. This style was created by using a hot curling iron and flipping the hair upside down. Similar to the Marcel Wave, finger waved hair with the fingers (duh) and “finger waving lotion.This process used the fingers holding down a section of hair while combing the hair back. The process needs copious amounts of gel, some patience, and a lot of combing. The popular 1920s hairstyles have shaped women's and men's hair ever since. Classic hair never goes out of style. If you have a specific style you would like to talk about please talk to us.